Every time,any time I call on Security Tech the the support has been super. Hi Joe, Would you mind sharing a brief review of the service we provided for your business? 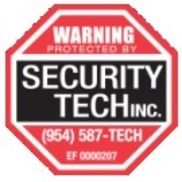 Much appreciated, Security Tech Inc.